Voucher payments for not smoking during pregnancy help women to stop using tobacco and boost the growth of their infants, according to an analysis of data from three controlled trials by Dr. Stephen Higgins and colleagues at the University of Vermont. About 34 percent of 85 women who participated in voucher-based reinforcement therapy (VBRT) were abstinent, as verified by urine tests, during late pregnancy compared with 7 percent of 81 women in the comparison group, who earned vouchers for attending assessments regardless of quitting success. Intervention participants maintained an advantage 3 months after giving birth: 24 percent were abstinent compared with only 3 percent of the control group. 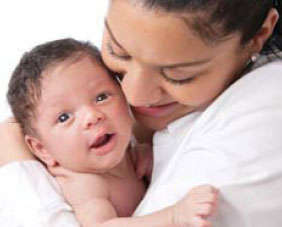 The babies born to women who participated in the intervention showed benefits in newborn weight, which affects immediate and longer term health risks. About 6 percent of women in the VBRT group had a baby categorized as low birth weight—less than 2,500 grams—compared with 19 percent of those in the control group. Infants born to women in the VBRT group weighed 202 grams more, on average, than those from control-group mothers. All the women who participated in the trials received advice and encouragement to quit smoking from their obstetricians. The participants, most of whom had low incomes, each received, in total, vouchers worth about $450. The findings extend the Vermont team’s prior results that VBRT for smoking cessation improves fetal growth (see “Vouchers Boost Smoking Abstinence During Pregnancy”).